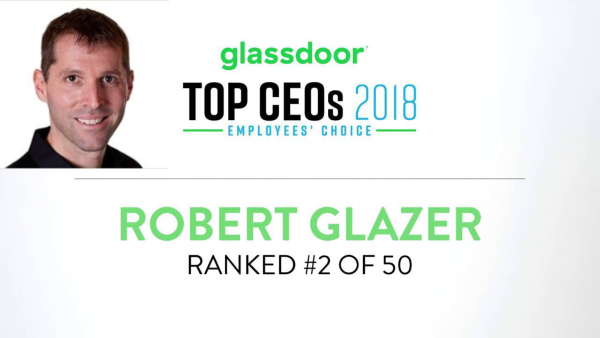 Client Acceleration Partners’ Robert Glazer has won a Glassdoor Employees’ Choice Award recognizing the Highest Rated CEOs for 2018 in the U.S. SMB (Small & Medium Business) category. 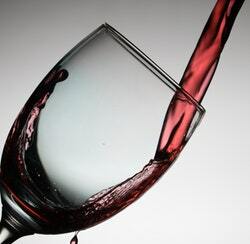 Glazer was rated #2 of 50 CEOs with a 99% approval rating from employees. Among the 770,000 companies reviewed on Glassdoor, the average CEO approval rating is 69 percent. This Glassdoor trophy will take its place on the Acceleration Partners mantel along with its Ad Age’s Best Place to Work, Entrepreneur’s Top Company Culture, and Inc. Magazine’s Best Place to Work. Glazer regularly speaks and writes on affiliate marketing, company culture, and leadership, including contributing bylined articles for Forbes and Entrepreneur. He also pens a popular weekly email called Friday Forward, which has attracted 35,000+ subscribers in two years, in which he dispenses inspiration personal and business insight from his unique point of view.